Whether you want to move to a different site, need a property that’s more tailored to your needs, or would like to move into a different kind of accommodation altogether, you might be looking to sell the park home you currently live in. However, the process is quite different to the one you might’ve gone through with a more traditional property in the past. In this guide, we’re going to explain the 6 steps to selling a park home. We’ll look at how the process works, as well as what you need to know about your rights as a park home seller. Read on to find out more. The Mobile Homes Act was introduced in 2013 to give park home owners certain rights and protections, some of which apply when you come to sell your property. 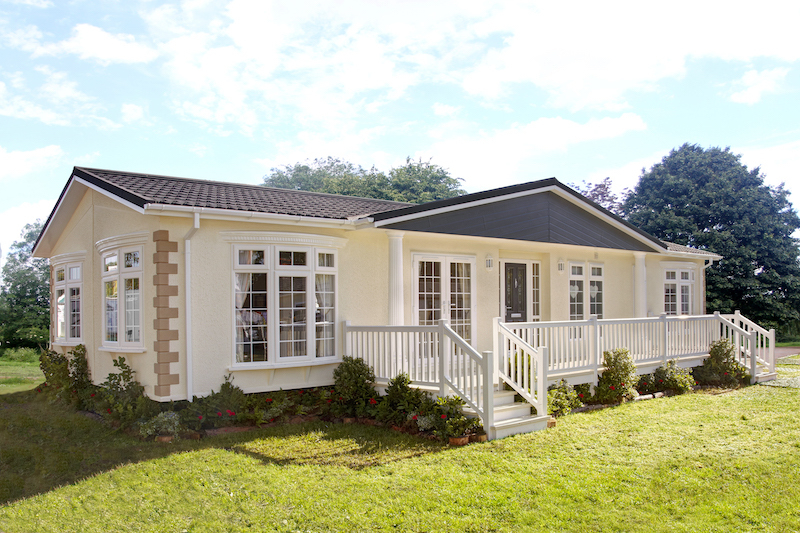 If you bought your park home before 26 May 2013, the owner of your site will have more of a say in who your park home can be sold to. So, they can stand in the way of your sale if they aren’t sure about a buyer. But, if you bought your home on or after 26 May 2013, you will have the right to sell your park home on the open market and can even pass it on to a member family of your choice. The site owner won’t have any right to vet and approve the new owner, although whoever moves in will have to abide by any rules that are in place. make you carry out a survey on your property. It’s also worth noting that you don’t require an energy performance certificate to sell your park home, and there’s no legal requirement to have your home surveyed. However, you’re responsible for giving potential buyers full and accurate information, so they can make an informed decision about whether they want to go ahead with the sale. So, you will need to tell them whether a survey has been carried out, and they may request one. How this is arranged and paid for is something you can decide between yourselves. We would highly recommend taking advice from a solicitor or other legal professional throughout the selling process, as this will help to ensure everything is being done properly, giving you peace of mind. Much like when you’re looking to sell a more traditional property, you’ll want to ensure your park home is in great shape, so you can secure the best possible offer. Here, we’ll look at some of the steps you can take to do this. Declutter: When a potential buyer visits your park home for a viewing, you'll want to make it as easy as possible for them to imagine themselves living in the space. So, schedule a big decluttering session before you welcome anyone round. If you do a good job of decluttering your space and filling boxes with items you don't use a lot, you'll also find it much easier to pack up and leave once your sale has been completed. Carry out any repairs you’ve been putting off: We’re all guilty of putting off certain repairs and DIY projects because the problem doesn’t bother us too much, but anyone who moves into your property will want everything to work properly. So, now is the time to do all of the odd jobs you’ve been avoiding. To get an idea of what you should keep on top of, especially in the lead-up to selling your property, make sure you read our guide to park home maintenance. And, if any damage has been caused by accidents or general wear and tear, this needs to be looked at. If you’ve signed up to take advantage of one of our GoldShield Care Schemes, we’ll be able to help you with some of the work that will get your property looking as good as new. Tone down your décor where necessary: When it comes to home décor, we all have our own sense of style, so you need to make sure the way your park home is decorated won’t put any potential buyers off. Choose a neutral colour scheme and remove any pieces of furniture that could be particularly polarising. This will make it much easier for people to imagine themselves living in the space. Clean the exterior and tidy your pitch: First impressions count, so it’s important that the exterior of your park home is looking spick and span whenever someone shows up for a viewing. You should have coated your park home’s exterior walls with a quality finish within the first two years of the purchase date and recoated it every three years since. If you haven’t kept up with this schedule, or you think it’s about time for a recoating, make sure you do this or arrange for a professional to help you. If you find any cracks in the cladding that covers your home, you should fix these with a good-quality exterior filler before applying the coating. Check the mastic joints between any UPVC windows, doors, or wall frames to ensure they’re in good condition. If you spot any faults, these will need to be repaired. If your park home’s doors and windows have been made using timber, they’ll also need to be painted or re-stained on a regular basis to keep them looking their best. If they could do with a bit of TLC, take the time to do this as it can make all the difference. Make sure you cut the grass around your property and remove any weeds. If you’re particularly green-fingered, you could even add a few planters full of beautiful flowers that will help to bring colour to your garden. And, if you have a driveway, you should look to tidy it up. It’s also best to park your car elsewhere when viewers are visiting, because it will mean there’s one less obstacle in the way of them imagining that they own the home. When you’re looking for someone to buy your park home, you can go about this in the same way you would when selling a bricks-and-mortar house, by enlisting the help of an estate agent or selling privately. You’re also able to display advertising materials on your pitch and the home itself without asking for permission from the park owner. Some park home sites will offer a sales service, which might be a more convenient option. When you’ve found an interested buyer, you’ll need to supply them with specific information and documents using a Buyer’s Information form. This is to ensure they have all of the information they need to make an informed decision as to whether they want to make a purchase. You can give the information and documents to the proposed buyer in person or by post, but they must receive them at least 28 days before the completion date. If the buyer agrees to a completion date that’s less than 28 days after receiving these materials, you must get it in writing. The buyer will then consider the information you’ve given them and might request further details or clarification. Next, they’ll decide whether they want to go ahead with the purchase or not. If they do, the next steps can differ slightly, depending on when you bought your park home. requirement of parking for a prohibited vehicle, or more vehicles than they’re allowed. If you learn that the site owner has applied for a Refusal Order, you’ll need to put your sale on hold until the tribunal comes to a decision. If they dismiss the site owner’s application, you’ll be free to go ahead with the sale without any further involvement from them. But, if they accept the application, you won’t be able to sell your property to the proposed buyer. You’ll then have to start again and find a new potential buyer. If you bought your park home on or after this date, you aren’t required to send the park owner a Notice of Proposed sale form, and they aren’t entitled to any involvement in the selling process. If you’re able to go ahead with the sale and the buyer is still interested, you’ll have to transfer the pitch agreement to them in order to complete the sale. You’ll both need to fill out an Assignment form, which provides confirmation of the agreed purchase price, the commission payable to the site owner, and the pitch fee that the new occupier will pay. Before any money is exchanged, you should agree all of your final meter readings and the payment of any outstanding bills. You should also give the buyer your new address, so they can get in touch if they run into any related problems. You’ll be entitled to 90% of the sale price when everything has been completed. The buyer will hold the remaining 10%, which will eventually be paid to the site owner. Once all of this has been completed, you will have sold your park home, and you can hand over the keys. If your home is covered by our GoldShield park home warranty and you sell it in the first 10 years of ownership, the remaining years of your warranty can be transferred over to the new owner. Simply fill out a change of ownership form and return it to us. We will then issue a new Home Owner Registration Certificate and the transfer will be complete. To arrange this, call 0191 258 8124. Moving is never easy but, if you’re prepared and know how the process of selling a park home is going to go, this should take a lot of the stress out of the situation. Before you even begin to look for a buyer, make sure your property is in good shape, read up on what rights you have, and enlist the help of a legal professional who will be able to guide you through the process. And, if you’re unsure about anything to do with your GoldShield 10-year warranty or care scheme, get in touch and we’ll be happy to advise you.